2016 has been the year things went crazy, and we all know why. But, 2016 has also been the year where everyone gets offended very easily. People seem to have been offended by some very random things this year, whether it was Ellen DeGeneres posting a photoshopped picture of her hitching a ride on Usain Bolts back, or Jesse Eisenberg being cast as Lex Luther in Batman vs Superman. 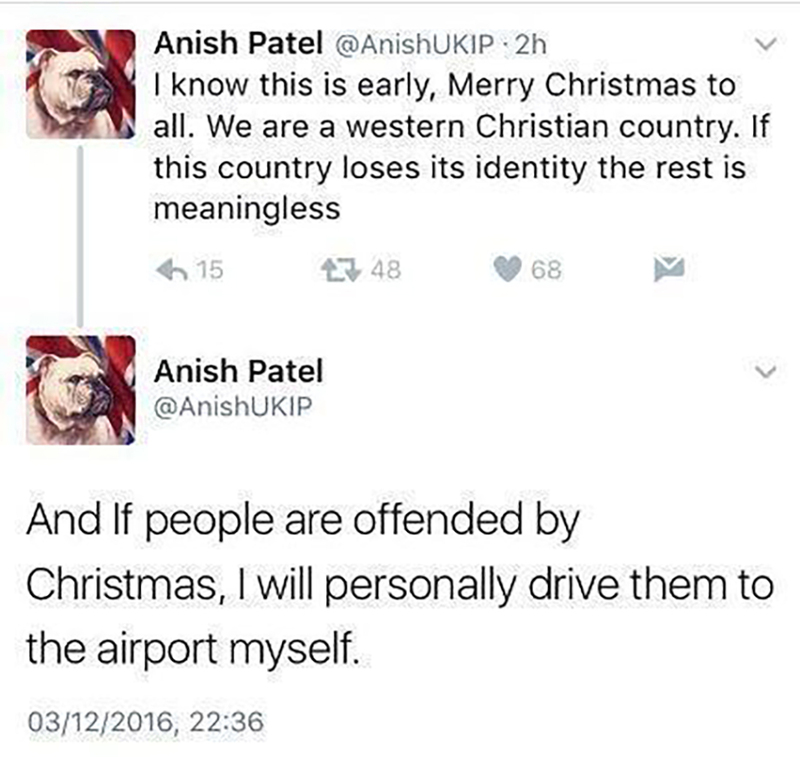 Well, one man took it upon himself after he grew tired of political correctness going mad; to offer those offended by Christmas a lift to the airport so they can leave the country. 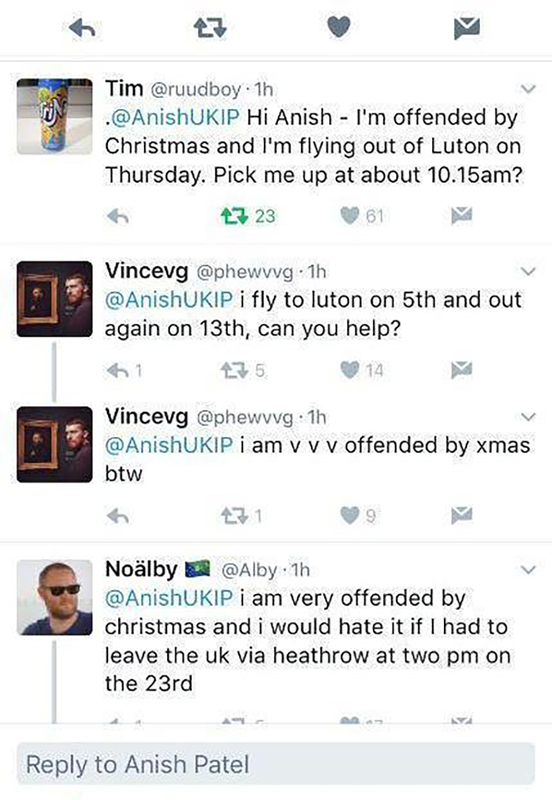 His name is Anish Patel and from the evidence on his twitter account, he loves his country. In a nation full of different races and religious beliefs, some do not celebrate Christmas, and he felt the need to offer those offended ‘by our western Christian’ Christmas a way out. Patel has since made his account private after he was unable to keep up with the demand. 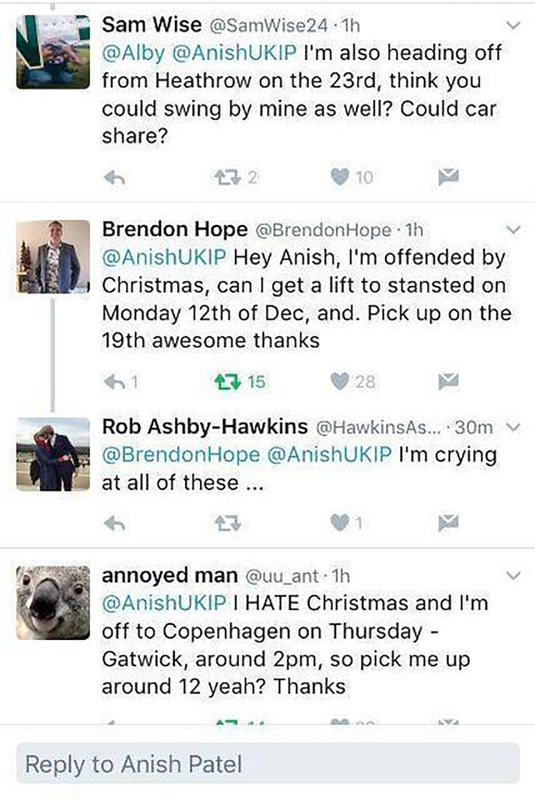 Perhaps he should have just kept quiet and let people celebrate Christmas how they want.